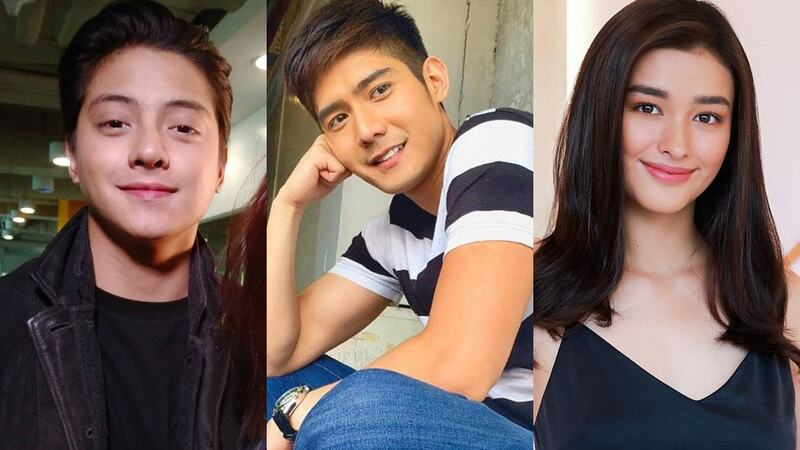 When Robi Domingo posted backstage outtakes of Liza Soberano and Daniel Padilla during their Sunday variety show ASAP, he had no idea what was coming. The now-deleted videos from Robi’s Instagram Stories are now uploaded to a YouTube account. 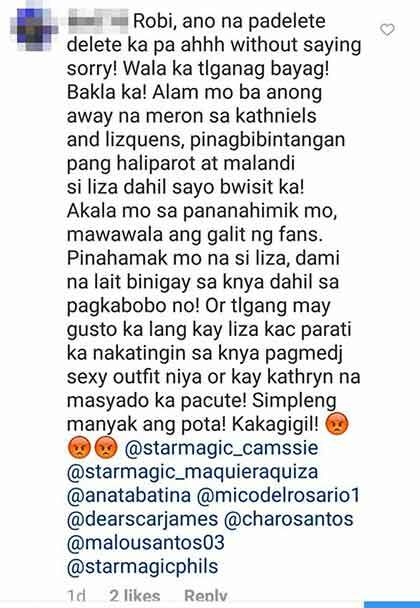 In the clip, you'll see the camera pan from Liza to Daniel, with Liza saying "I hate you" jokingly to Robi. 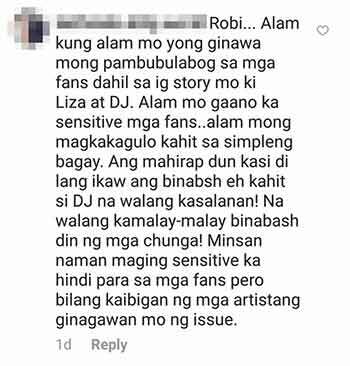 The actor then asked the Darna actress, "May sinasabi ka?" 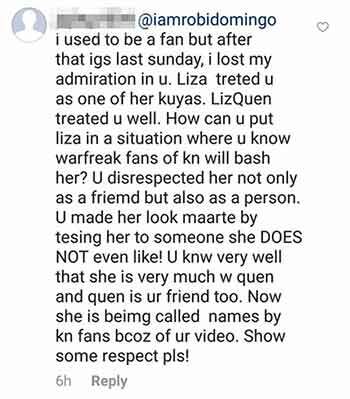 This video provoked LizQuen (Liza and Enrique Gil) and KathNiel (Kathryn Bernardo and Daniel) supporters to defend their fanbases because Robi seemed to be suggesting that something was going on between Liza and Daniel. 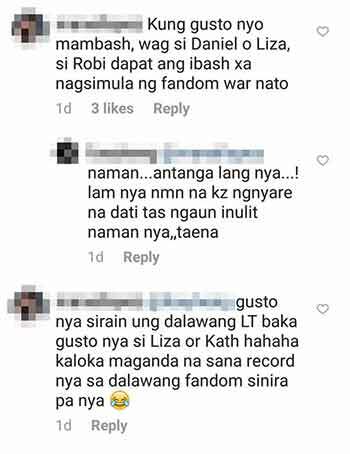 To make matters worse, the social media account of District 8, an establishment co-owned by Daniel, also got in the middle of fan hatred after posting an image of Daniel and Liza with Robi in between them. The post was later on deleted and the establishment issued an apology. 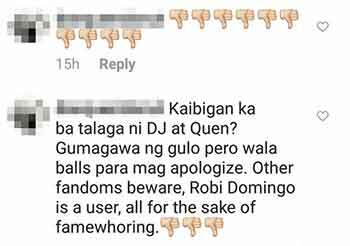 Neither Robi nor his management has released a statement.